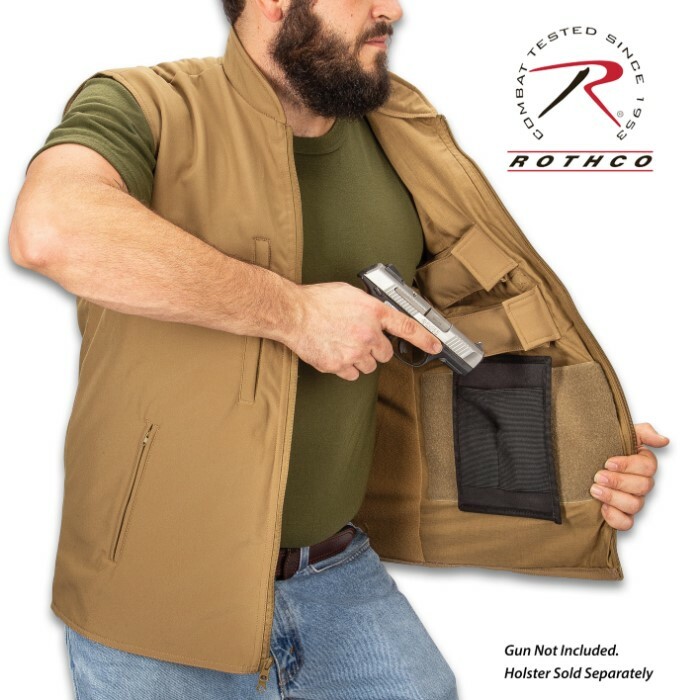 Rothco’s Coyote Brown Safari Outback Concealed Carry Vest is the perfect addition to your concealed carry gear with two interior hook and loop fields for a concealed holster (one on each side), and four interior mag pouches (two on each side), which is ideal for securely holding your firearm and shooting accessories. 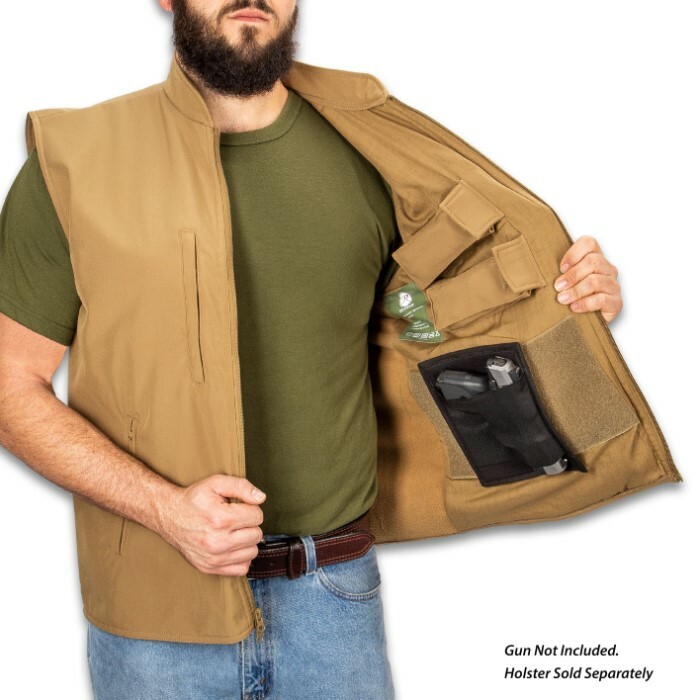 In addition, this tactical vest features two front slash zippered chest pockets and two side slash zippered pockets to store essential everyday carry gear. 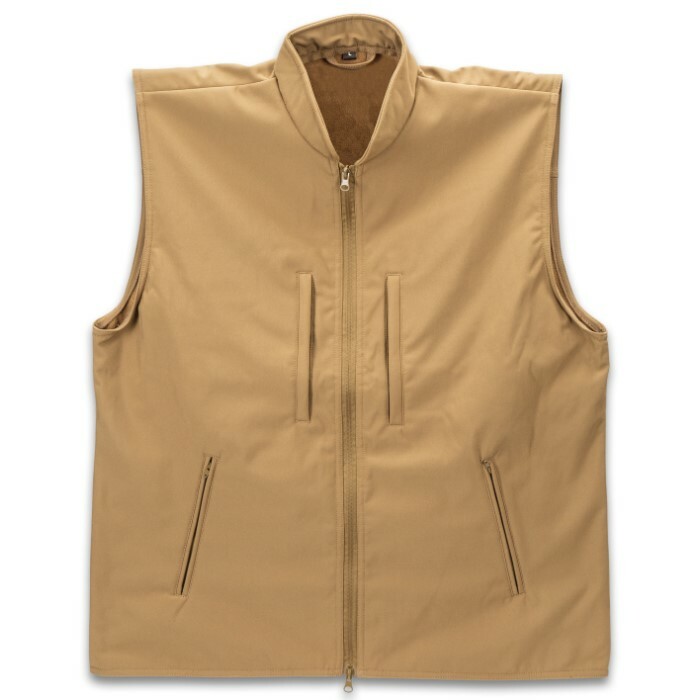 The concealed carry jacket features a three-layer construction that deflects wind, wicks away moisture and retains body heat with a waterproof polyester outer shell and the lightweight interior fleece lining. 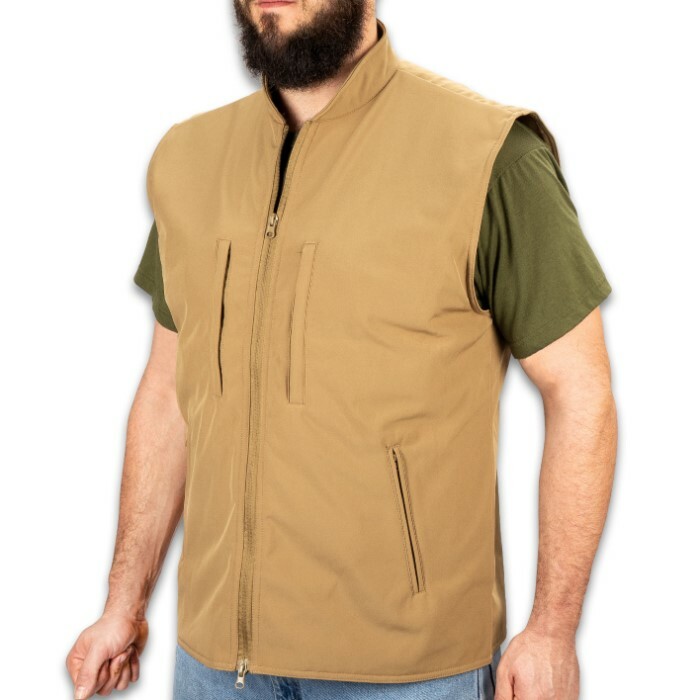 This soft shell vest has a zipper closure that leads to a mandarin style collar and is available in sizes large, 1XL and 2XL.